Thank you Galderma Labratories, L.P. for sponsoring this post. 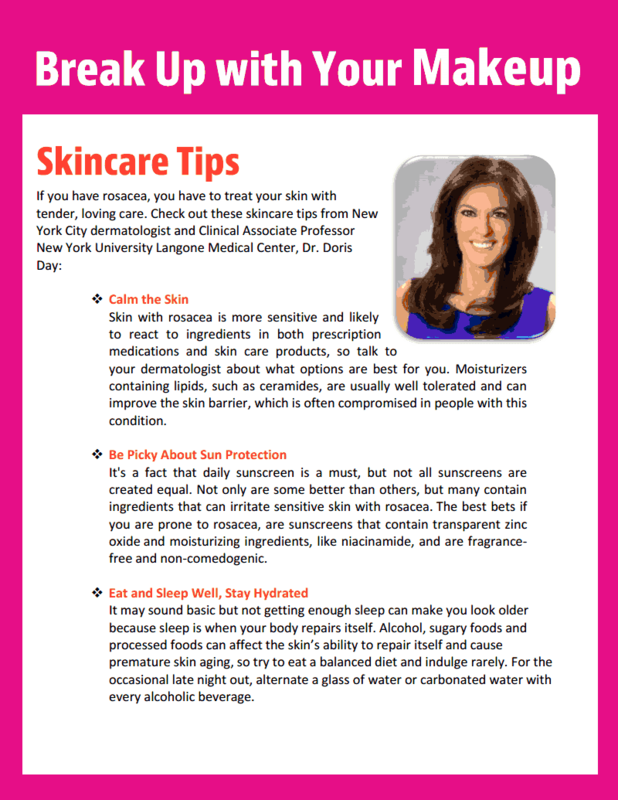 Stop covering up the facial redness of rosacea with makeup, and start treating it with the help of your dermatologist. 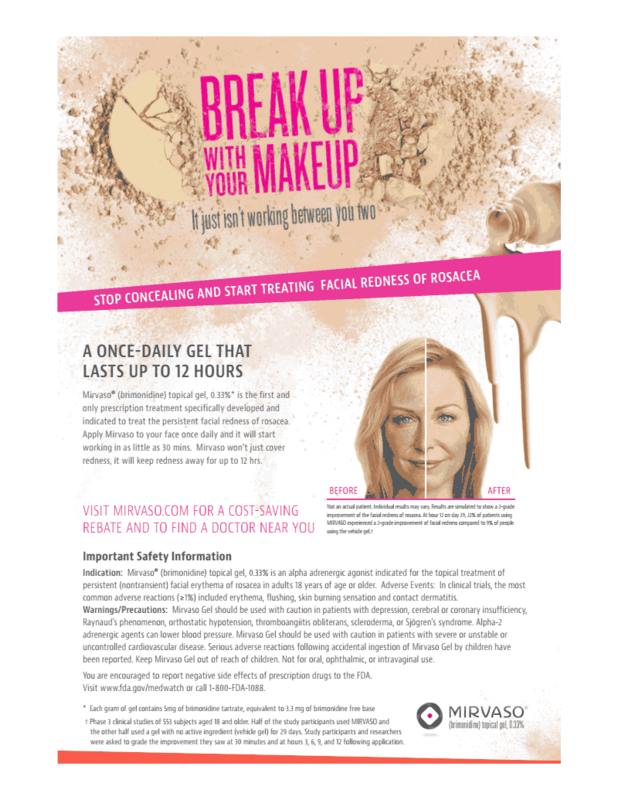 "Break Up With Your Makeup" and enter for a chance to win a trip to LA for the Emmys! Hey beauties! It's time to talk about something I rarely talk about, which is absolutely NO makeup! Lately I've been seeing too many girls out there with caked on, crusty too much blush, too much eye makeup bright lipstick, clown looking, just such a disaster. I can myself relate, only because I suffer from rosacea and eczema. I can't stress enough the importance of taking care of your skin the right way. Taking care of your skin makes all the difference in the world. If you do your skin the "right way" you'll never need to pack on the makeup. When I discovered the world of moisturizer, toner and eye cream, my need for the foundation, concealer.. well it went away. I feel like so many people, especially younger teenagers DON'T know how to correctly wash their face or exfoliate, therefore resulting in problems with acne, dry skin and other skin issues. Rosacea is a disease not only I have, but more people have it then you think, - it affects an estimated 16 million Americans. Of those who suffer from it, 82% use make up and other cosmetics to hide their redness and symptoms. Another must is sunscreen or foundation with SPF. When I was younger I really didn't think about the consequences of not taking care of my skin for my later years. I loved tanning, tanning booths, and anything I could do to make my skin darker. I grew up with extremely fair skin, so I was often teased about looking like "Caasper" or having a pale look. So I was at the tanning booth everyday trying to look darker and just plain BETTER. But I was doing it all wrong. A LOT of people are doing it all wrong. We are covering up the issue with all kinds of gimmick cover up foundations and concealers when we should all just "Break up with Our Makeup" and go makeup free. Yes, I know it sounds scary, but trust me, it's possible. Mirvaso is all about allowing your natural beautiful skin to show through. Come on girls I know it's scary but it CAN be done. And if you've been peeking around on my Instagram, I've been going "natural" a lot lately. Just to show you guys NOT to be afraid of your natural gorgeous skin. Remember it's the skin you were born with, so embrace it instead of trying to cover it up and hide it. Mirvaso is actually giving away a pair of tickets to the Emmy Award Show on their site, for more information, click here.